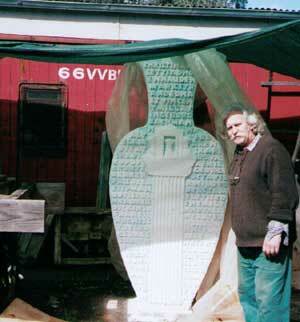 Stan Farley is a painter and sculptor with a passion for poetry. His studio is built around an old railway carriage in the Whipstick Forest near Bendigo, surrounded by old gold diggings, red ironbarks, and the sounds of choughs and babblers and wind in the trees. There's a home grown olive tree and a love of Greek culture. This interview © Copyright Stanley Farley & Craig Robertson, 2006. Music in this podcast includes extracts from J.S. Bach Fantasia et Fuga in D (Fuga) played by Jacqueline Ogeil on her album The Virtuoso Harpsichord © 1995, and Debussy's Sonata for Violin and Piano (Finale), played by Miwako Abe and David McSkimming, from their album Poeme: Music for the romantic violin © 2000, both courtesy of Move Records. In my study: notes on ontological security, or is it insecurity? 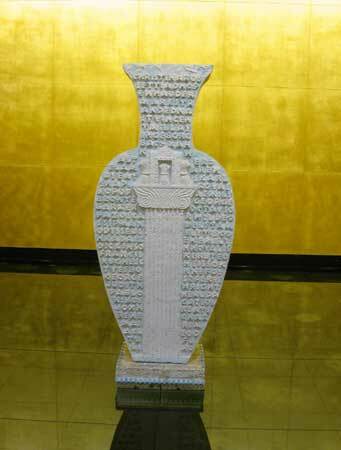 Art and its role in culture; see In my study No.6 (2.5 Mb; 5' 33"). See: A Pattern of Islands by Arthur Grimble (John Murray, London, 1952) and Aztecs by Inga Clendinnen (Cambridge University Press, 1991). Hairst, Gallery 101, Melbourne, 2005. The Temple of Apollo, Crete International Art Festival, Greece, 2000 and Antipodes Festival, Melbourne, 1998. Stanley Farley & Robyn Burgess, Fitzroy Gallery, Melbourne, 1999. 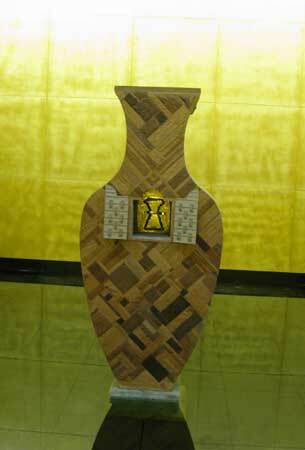 Retrospective, Bendigo Regional Arts Centre, Bendigo, 1998. Stanley Farley, Tolarno Galleries, Melbourne, 1986, 1988. Stan Farley has also been represented in numerous group exhibitions and has works in various public and private collections throughout Australia.